As NYFW is approaching us, let’s talk beauty essential! Of course, you’re going to be attending Fashion Week adorned in gorgeous and well curated fashion styles! But, what’s more? You can’t forget to top off that outfit with the face of make up. Many in attendance will likely sport a full face and perhaps even stage make up to attract attention. But, regardless of whether you want a full face or not – this little essential should be on the top of your list and in your purse at all times! It is the Liquid Liner! Yes, I said it! The liquid liner! During Fashion Week, you’ll find yourself in a frenzy! You may forget your powder, no spare time for eye shadow, or even forgetting to prep your face. Well the one thing you should leave in your purse besides lipstick for touch up is the liquid eyeliner! I think many struggle at a war against time, when getting ready for shows or touching up make up between events. A quick winged style eyeliner paired with a bold lip may be your best bet. 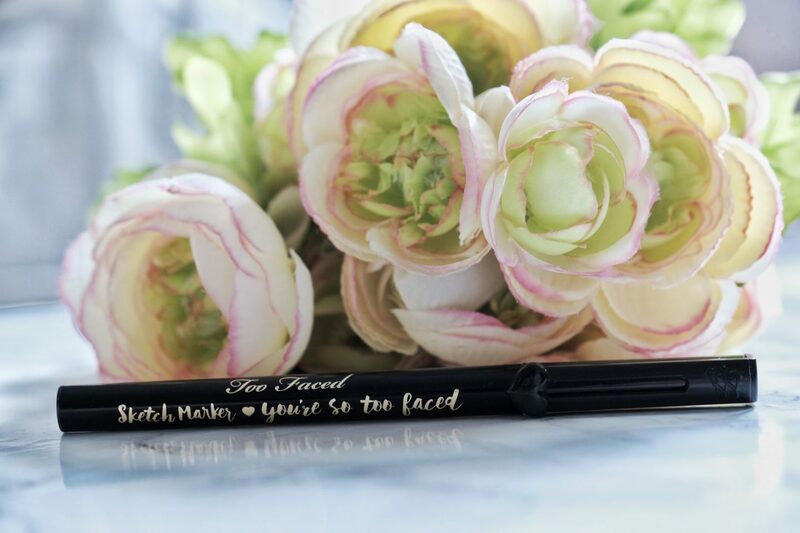 The one currently in my purse, is this Too Faced Sketch Marker Liquid Eyeliner. I have experimented with a ton of liquid eyeliners and this one is definitely on my favorites. It has a nice fine felt tip for easy gliding. The tip is said to be inspired by Japanese Calligraphy pens, but I feel this is not the case, since it is a felt tip and not made with hair. However, it still worked well in terms of control with the tip and the pigmentation was good as well. It was also long lasting and did not wear off easily, which is extremely important when choosing a liquid liner. It is waterproof and comes in a vibrant array of colors! Not to mention, the packaging is just super adorable! It retails at $20. Another liquid eyeliner I would recommend is Lorac’s Front of the Line Pro Liquid Liner. Lorac is known for its heavy pigmentation. The tip is made of fine hair as well and it is truly water proof and smudge proof! This liner, I feel is closer to the texture of Japanese Calligraphy pens, though it does not endorse it. The packaging is sleek and luxurious as well. The only reason this was not my first choice is because it retails at $23, which is slightly more expensive than the Too Faced. However, this is the closest alternative to my all time favorite – the Shuuemura Calligraphy Pen. The last liquid eyeliner I have tested and recommend is the Tarte Lights, Camera, Lashes Precision Longwear Liquid Eyeliner. 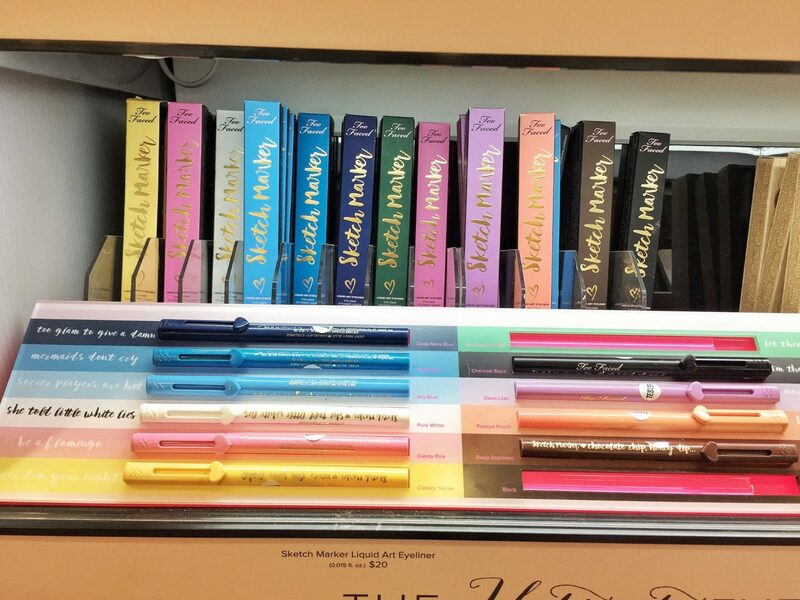 It is very similar to the Too Faced Sketch Marker, with it’s felt tip feature and long wearability. The only difference is, it is infused with “Provitamin B5 derivative that helps soothe and moisturize skin while thickening the appearance of lashes.” It is the same price as the Too Faced as well, retailing at $20. I love the added claim of B5 to help thicken my lashes, but because I can’t see the immediate effects it claims to have. I must say, I prefer the tip of the Too Faced Sketch Marker, which is ultimately why it was my first recommendation. Right now, Ulta is having their awesome 21 days of beauty event, which features different items on sale every day! You can view the event calendar here and see if any of your beauty favorites are on the list! All the items I mentioned are on the 21 days of beauty sale as well! And they’re all only $10! Which means 50% or more off for you! The Too Faced goes on sale TODAY 9/7, just in time for NYFW, Lorac on 9/19, and Tarte on 9/10! If you have an Ulta near you, definitely stop by and grab your beauty favorites, or easily shop online for FREE SHIPPING on all the beauty steals! I’ve been eyeing the calendar and will be ordering my favorite daily specials! (You can view all my favorite products here!) Let me know which of these eyeliners is your favorite, and what beauty item is an essential for you! PS: To everyone attending NYFW – Have Fun! And hope to meet you there! Next Post NYFW 9/17 Outfit Planning Tips! This product looks really good! ! Oohhh. Not sure if we have these in Australia. Will need to check them out (at the inflated prices no less haha). I’m also using the Shu Uemura calligraphy pen! 🙂 love it! That liquid liner looks amazing! I haven’t tried liquid liner since I was in high school ( a long time ago) but you have inspired me to give it another go. Is there a way to make it look less severe- I like a more dulled natural blend on my eye. Thanks! Love how cool your eye liner cat eye came out. LIKE you did an amazing job. Way cool. ooh I should try! I’ve been using the Stila liquid eyeliner for years! I’ve always been a bit clumsy with liquid eyeliner but this one looks cool. Might give it a try, thanks! I have very oily lids and hooded eyes, and that really limits what eyeliners I can use. I haven’t tried these but will certainly check them out! I have to admit I am no good at applying eyeliner, I’ve never managed to get the cat eye down for instance, but I do like to play so I’ll have these out! I’m not the greatest with liquid liner. It tends to get everywhere, so I use a pencil. I might have to try again with the liquid though! I actually don’t use liquid liner, but my best friend is obsessed! She will def want to try this one! such a great review! i LOVE liquid liner – I actually prefer it! Wow, this liquid liner seems just so awesome, I haven’t used it but I’m sure now I’ll give it a try! I think liquid liner is so gorgeous, but I have a hard time applying it. Do you have any tips? 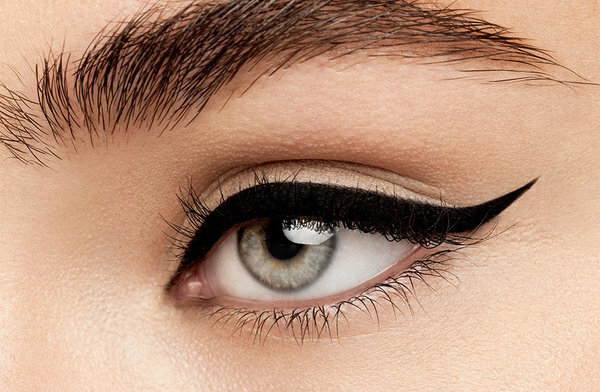 I’d love to try this liquid liner! Right now I’m using a brown/black eye pencil, but I’m having issues with smearing. Thanks so much for the great review – it’s so helpful. What a great flick. I love liquud liner. My daughter is 19 and is struggling to learn to put on liquid liner! This sounds like a great brand. wow this liner looks amazing! i love your blog so much, thanks for the preview! 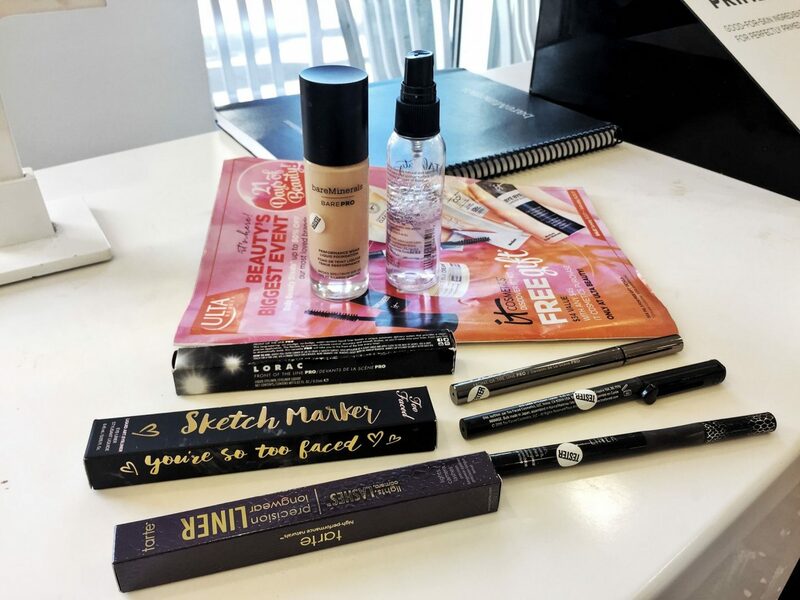 The liquid eyeliner from Too Faced sounds amazing! I love that brand! their products are always spot on! Sounds like really cool eyeliner! I like how they come in different shades. I love eyeliner and I always like to work and learn how to get a perfect cat eye. This eyeliner is a bomb. I just learn about this now and I would check this out and try. I hope it will meet my expectations. I struggle in putting liquid eyeliner on mine. I don’t know how some people make it look so perfect. I may need a lot of practice to achieve it. Im buying this for my girl right away! Finding a liquid eyeliner that works for you is as hard to find a good hair dresser. So this one looks really good. I am using smashbox at the moment.. I dont wear a ton of make-up. My daughter loved using liquid eyeliner. She tried teaching me how to do it but my hands just don’t cooperate. These look really good and the packaging is super pretty. Wish I could apply liquid liner to be able to use these! I haven’t been brave enough to try liquid liner yet, but I like the dramatic look it creates. I love Too Faced products! I have never tried Lorac’s products, but if you are recommending their liquid liner I might have to try it. I am more keen on Kat Von D’s liner pens. This look really god and worth buying. My girlfriend always use liquid liner but different brand….will let her know ASAP. I wish I could apply liquid eyeliner the way you do. I love it but my skill at it is a zero. … sadly. Ooh, that eyeliner is so pretty! I’ve never tried liquid liner before, but I think I need to. It comes out so smooth! You did an amazing job with your liquid liner. I’m not a makeup gal yet, but I certainly love how you do what you do.